Ever heard of a temporary park? Ever heard of a temporary park? We’ll they’ve been popping up around the country over the last few years and they are created to mediate problems associated with brown field and construction sites which may have been abandoned or undeveloped. 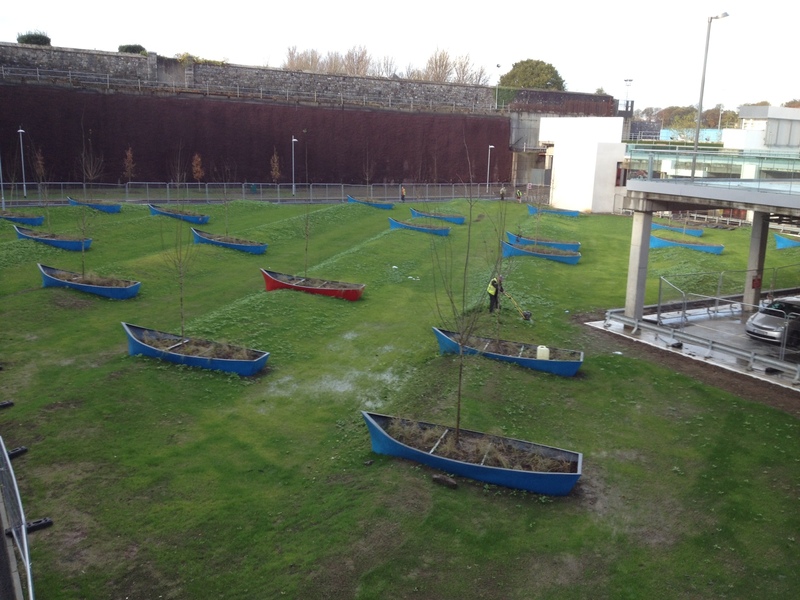 Our latest temporary park is in Heuston South Quarter and given the recent weather is a more than apt creation. The brainchild of our colleagues in Mitchel and Associates, it features semi submerged boats set in undulating grassland. The boats can serve as seating for park goers. Look closely at the photo, the park is built on the basement level of an unfinished apartment block!